Stumpy as he has become affectionately known to the members is a born in the lake linear that first announced himself to the regulars by gracing the bank as a 7 pounder back in August 2011. Nearly as deep as he was long captor Eddie the bailiff took a quick photo of Stumpy on the mat for the records. Keith with “Stumpy” at 22-06 August 2014. Since then Stumpy has been caught at regular intervals, always up a pound or two. 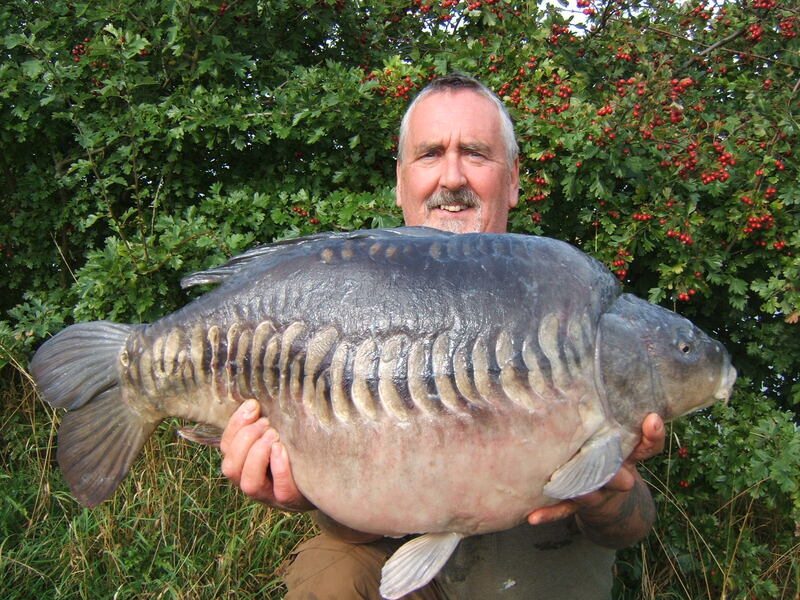 In August 2014 Keith Williams caught him at 22-06 and he came out again in September at 23-09. Despite regular visits to the bank (this doesn’t seem to phase him) he’s gone up in weight after nearly every capture. Stumpy the super carp makes his first appearance of the year!! 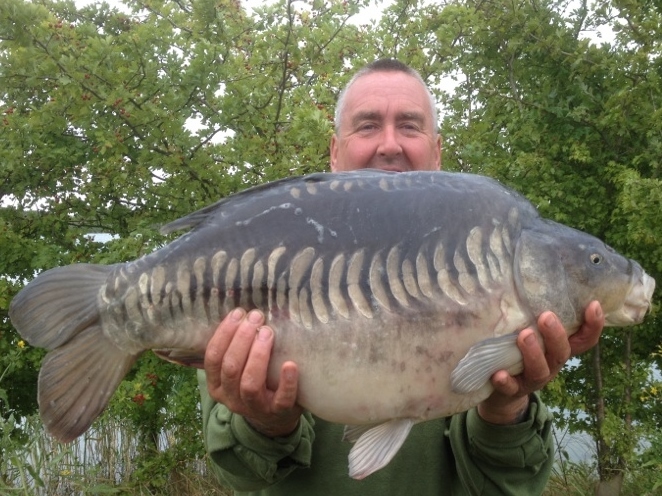 Lavers member Keith Williams caught his old mate Stumpy at 26-02 at the start of September. 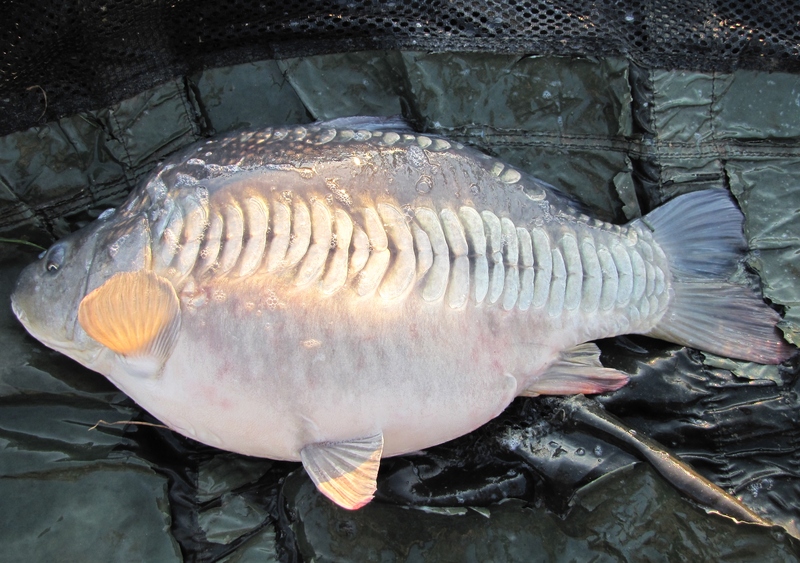 The born in the lake chunk was first caught at 7lb back in November 2011. Just like most of the other carp in Lavers he’s flying and there are now around 20 x 30lb plus fish in the venue with lots of upper twenties coming through. 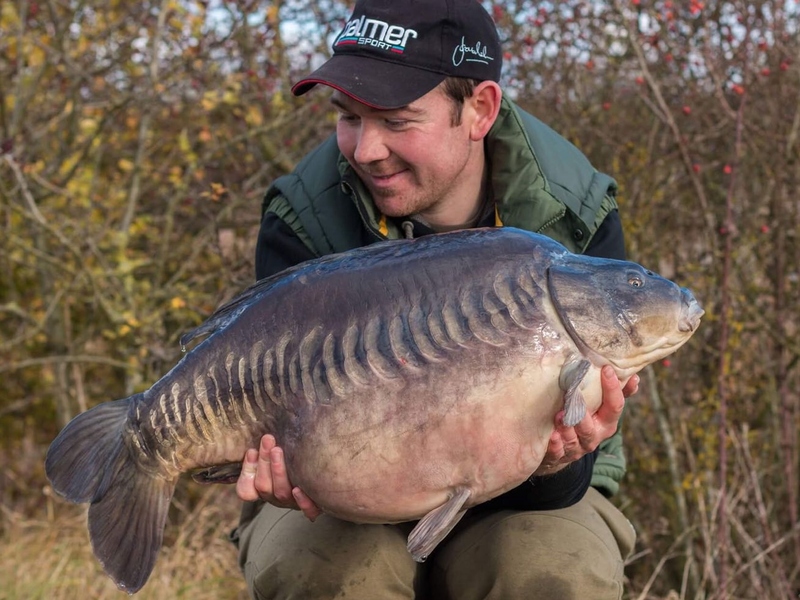 Stumpy fell to the rods of Tony Hughes at 27lb. Its been pointed out that on each occasion Stumpy has been caught he’s always been up in weight.